Jewel tones have steadily made their way into our wardrobe staples and accessories, and it seems that we still can’t get enough. 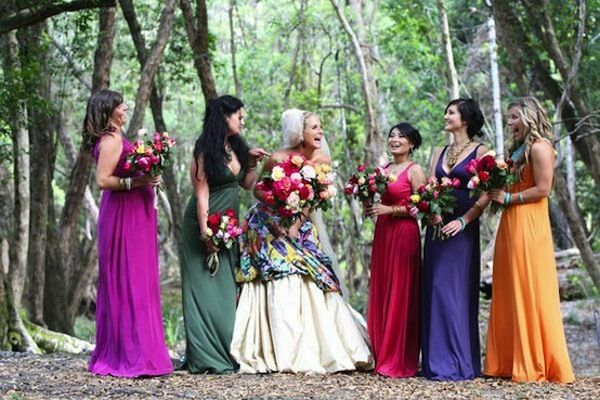 Today, we draw inspiration from these vivid shades and show you how you can incorporate them in your wedding to add that touch of grandeur and opulence to your big day. 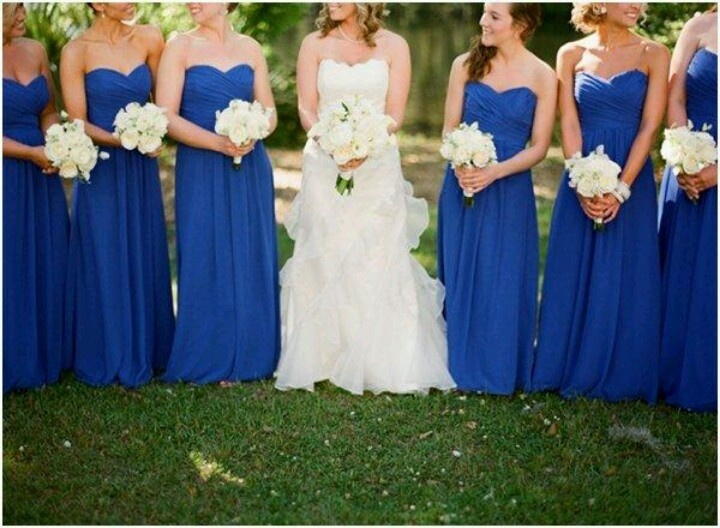 Do not be disappointed if you do not have much luck in locating the perfect jewel tone dress. 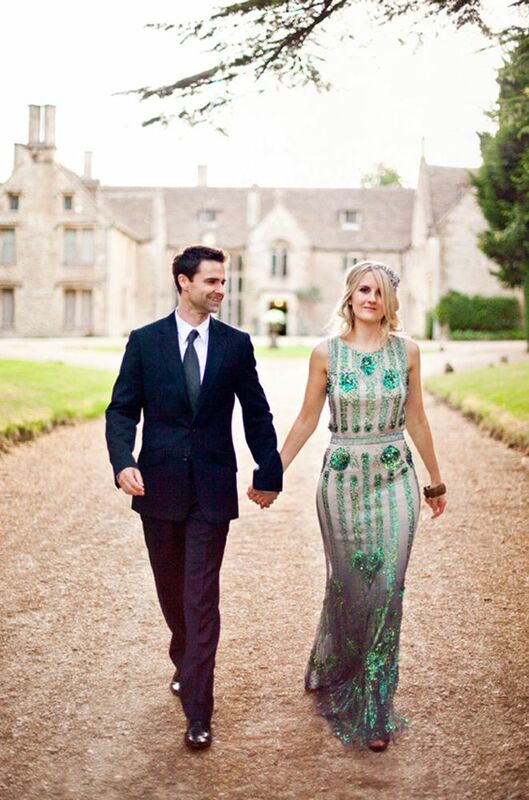 After all, you should choose a dress that you can feel beautiful in for your big day, and not compromise and feel uncomfortable for the sake of your theme. 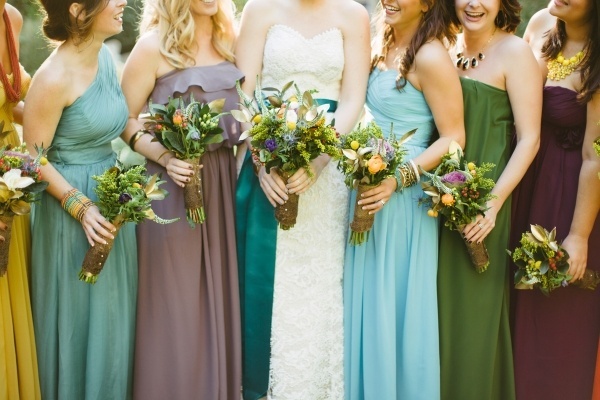 The solution is to consider using jewel tones for your bridesmaid dresses — it is almost effortless to find simple and well-cut dresses in these popular shades! Your husband can also join in the fun by working in the jewel tones as accents in his accessories! 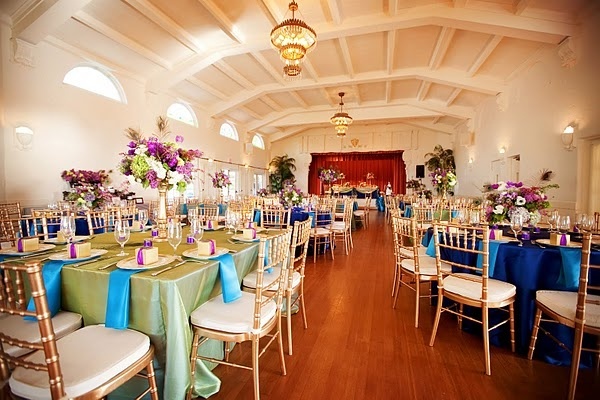 While jewel tones may come across as a tad too heavy for the daytime, they would work like a dream for your banquet at night, especially if you are going for something that is more grand, mysterious, or even exotic. Depending on how you mix the colours, the resulting effect can give off rather different vibes. The first picture above created a mysterious forest theme with its generous use of blues, aquamarines and greens. For the second picture above, the use of warm jewel tones such as reds and oranges helped to bring on a passionate and grown up mood. The third picture balanced the jewel tones against neutrals such as gold and white, instantly creating an upbeat and luxurious setup. 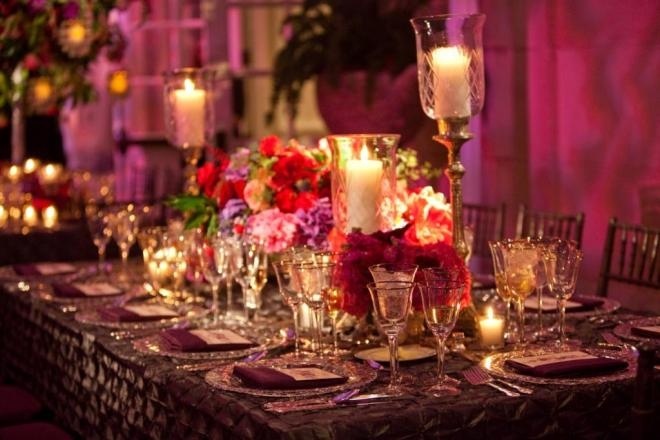 Wouldn’t it be nice for your guests to see your jewel tone theme reflected on their plates as well? We are in love with this combination of blackberry cocoa sorbet and green tea cookies — classy to look at, and yummy to taste! Work together with your banquet service provider and chef to see if you can come up with any special concoctions for your guests. Consider yam, sweet potato, beetroot, mangosteen, and so on — all of which come in rich hues and suit our tropical palates!